overshooting a runway on the tiny island of Weno, north-west of Papua New Guinea. 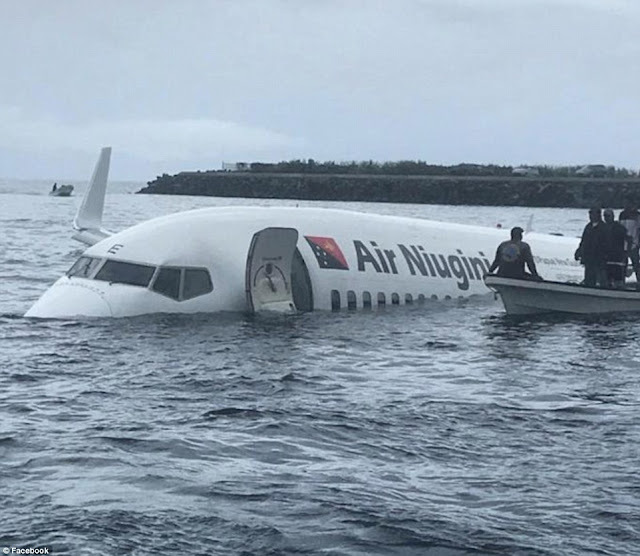 Local authorities confirmed the airliner - which was en route to Papua New Guinea from Micronesia - missed the runway and crashed into the water around 9.30am on Friday local time. Miraculously, all 35 passengers and 12 crew members are alive, but plane was completely submerged and one passenger was injured. The passenger plane was flying from Micronesia's Pohnpei to Chuuk Airport, where it was scheduled to make a stop before continuing on to Port Moresby in Papua New Guinea. Chuuk Airport manager Jimmy Emilio told local media outlets the Air Niugini plane missed the runway by about 160 metres. Passengers and crew have been taken to the local hospital, where they are currently undergoing checks. No serious injuries have been reported. It's currently unclear what caused the crash.